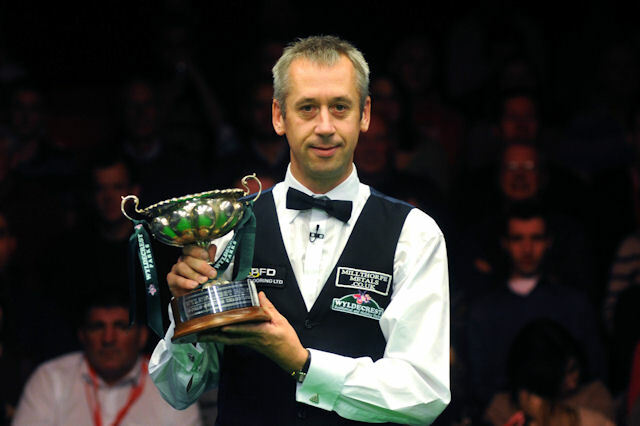 Nigel Bond won the Wyldecrest Park Homes World Seniors Championship without conceding a frame in his four matches at the Mountbatten Centre in Portsmouth. Bond, who still plays on the main tour and is ranked 45 in the world, beat Welshman Tony Chappel 2-0 in the best-of-three final having seen off Dennis Taylor, Tony Knowles and last year’s winner Darren Morgan en route to the final. Both finalists had come through qualifying to claim their place in the tournament and former World Championship finalist Bond took a close first frame 68-54 after both players missed opportunities to take a 1-0 lead by potting the black. The second frame was more one-sided with breaks of 33 and 28 helping Bond to take it 66-4 and claim the £18,000 prize money. “It is a great feeling,” he said on collecting his trophy. “It has been a great weekend, all of the players have enjoyed it.